Fall is all about spending time with friends and family while surrounded by great food and fabulous music. No one knows this better than Austin (we&apos;ve kind of mastered the whole patio scene). What better way to celebrate the season than a fresh-air feast with your favorite people? A must for any seafood fan, Perla&apos;s airy wooden deck emits a trendy, beachy ambiance that almost feels like visiting a friend&apos;s Nantucket beach house. 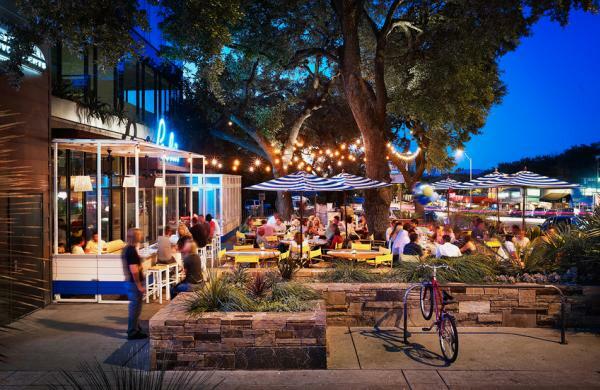 The South Congress seafood and oyster bar is crisp and brightly colored with a relaxed vibe that invites you to stay awhile, have another glass of chardonnay and enjoy a long lunch, brunch or dinner. Nestled in East Austin, Justine&apos;s offers French cuisine until the wee hours, attracting a late-night dining crowd that makes for splendid people-watching. Sip classic cocktails, like the French 75 or Side Car, under their massive oaks trees strung with lights and enjoy yard games like bocce ball between courses. Don’t leave without trying their take on escargots à la bourguignonne. Walk through Easy Tiger&apos;s bar and bakery area to the back beer garden where you&apos;ll find ping-pong, picnic tables and groups happily chattering over cold beers. This East Sixth Street eatery focuses on sausage, cheese, bread and beer - the four major hangout food groups. Alta’s Café is one of the better kept secrets in the downtown area. 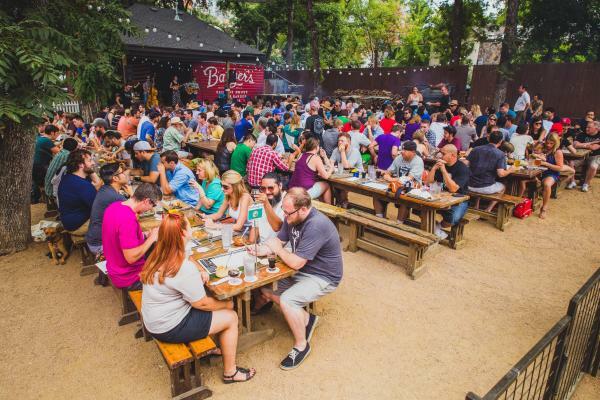 This beer garden and coffee house is located along the shores of Lady Bird Lake. Enjoy an organic PB&J and your favorite coffee on the deck while watching the bats fly from Congress Avenue Bridge. Kayak tours and rentals along with stand up paddle board rentals are available by Congress Avenue Kayaks at Waller Creek Boathouse on site. They have perfected the art of smoking barbecue, luring hungry locals and visitors with buttery, melt-in-your-mouth brisket, ribs, pulled pork and famous Texas hot guts sausage, sided with chipotle slaw and beans and classic onion, pickles and white bread.